Large Sunshine Coast Lots Selling from Only $219,000! 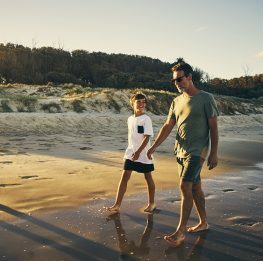 Located between Maroochydore and Noosa on the Sunshine Coast, Maroochy Rivers offers a peaceful country lifestyle close to the beach. Framed by the Maroochy River, the estate’s larger than average lots range from 715sqm to 1000sqm! Stage 5 at Maroochy Rivers features premium elevated home sites with breathtaking views from all angles from only $219,000. These spacious lots are the perfect size to build your dream family home with plenty of room for an extensive garden and huge shed. Maroochy Rivers is just minutes from all your lifestyle needs in Yandina’s town centre, and offers easy access to schools, public transport and the Bruce Highway for commuters. Enquire now to secure your piece of the Sunshine Coast! Prime Brisbane River Acreage Is Selling NOW! Located on the Brisbane River in the picturesque town of Fernvale, River Glen is a rare riverside acreage estate. River Glen offers huge, elevated lots sized from 1 acre, all with stunning mountain views, from only $179,000. All lots in this stage are walking distance to the Brisbane River, where you can walk along the surrounding parkland, sit, and enjoy the stunning views. Residents will enjoy the best of acreage living in this exclusive community, with key amenities including Fernvale Village Shopping Centre, Woolworths, the Old Fernvale Bakery and an array of specialty shops, only minutes away. Home and land packages start from $385,000… enquire now! Building a Home Has Never Been Easier! Building has never been easier! We have teamed up with a range of quality builders to deliver a variety of fixed price home and land packages at our Central Springs Estate! These innovative packages have been selected to maximise value, while also offering stylish and modern design solutions. There are three single storey options from Metricon Homes – all four bedrooms, two bathrooms with double garages, on lots up to 540sqm. The sprawling Hudson 238, is the double storey home option from Bold and is sure to impress with its expansive open plan living areas and inclusions. Our Sales Consultants are available 7 days to discuss these packages – as well as many more on offer! Why wait? Find out more today! Burrowed in the bushland of Mt Mee, Springbrook in Delaney’s Creek is one of the last acreage developments remaining in the area. A premium selection of level and easy to build on lots, sized from 3000sqm to 4022sqm and surrounded by large corridors of park reserve, are available from $224,900, with luxury house and land packages from $407,500. Springbrook is minutes from the lovely township of Woodford and just a short drive to the Sunshine Coast’s world renowned beaches. The estate also offers high speed NBN access, extensive parklands, walking trails and its own spring-fed lagoon. All of your shopping and lifestyle needs are close by, and for commuters the Bruce Highway and fast electric train to Brisbane are just 15 minutes away. A brand new release is coming soon – register your interest now! Tuxedo Junction Home and Land Centre Open Soon! Our new Tuxedo Junction Home and Land Centre is set to open at the end of the month! Our prized boutique acreage estate in Maudsland, Tuxedo Junction, features NBN ready lots sized from 4000sqm to 1.13ha with prices starting from only $395,000. 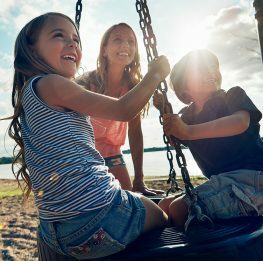 Nestled in the Gold Coast Hinterland, Tuxedo Junction is the perfect location for growing families with all amenities close by, including a range of private and public schools, Pacific Pines Shopping Centre and Westfield Helensvale. Tuxedo Junction’s residents enjoy large tranquil areas of recreational parkland, creeks, lakes and walking tracks, all only a 10 minute drive to the M1, 35 minutes to Surfers Paradise, and just 45 minutes to Brisbane. The new Home and Land Centre will be open Saturday to Wednesday, 9am to 5pm.